It’s Friday!! Whoo hoo! The weekend is almost here! It’s no secret that I love pink. I also love to make wreaths and it’s been a while since my last one so this week I made this… my burlap fringed flower wreath. Here’s my inspiration for this project. These lovely burlap fringed flowers that Gail over at Purple Hues & Me made. Aren’t they fabulous? 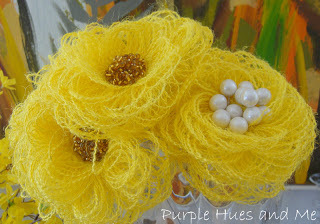 Honestly, I didn’t even know there was such a thing as coloured burlap until I saw Gail’s gorgeous flowers. 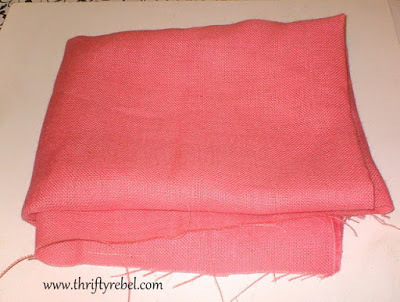 A couple of weeks later a package of pink burlap arrived in my mail box… from Gail. How wonderful is that!! I was so excited to receive it. I couldn’t wait to get started! 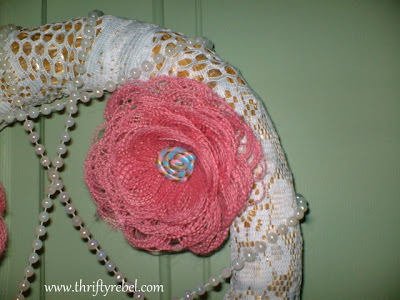 I knew I was going to put my burlap flowers on a wreath, but I wasn’t sure exactly how. 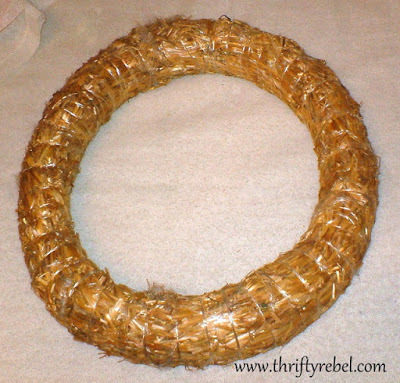 I started with this thrifted $1 straw wreath. 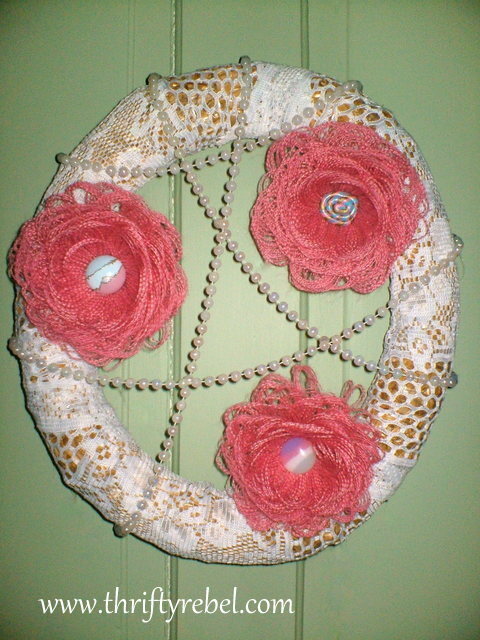 I covered the wreath with some thrifted rectangular doilies ($1 for 3). I just used my glue gun to secure them. Here are my three finished flowers. 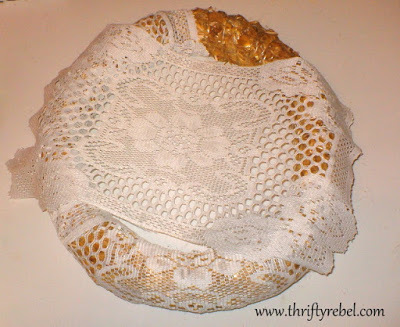 Gail has a wonderful tutorial here if you’d like to make some yourself. I hot glued some thrifted earrings for the centres. Then I went through my Christmas stash for this pearly garland and just draped it here and there on the wreath, securing the ends with hot glue. 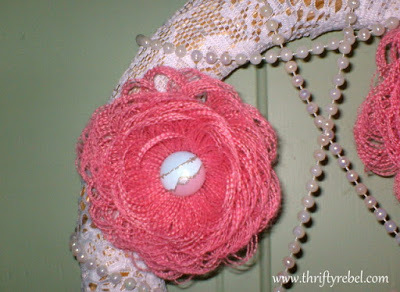 These burlap flowers were so much fun to make, and I have enough pink burlap for a few more projects. I’ve been working on another one that isn’t quite ready yet. Thanks so much to Gail!! Whose thoughtfulness reinforced my belief that this blogging community is filled with such wonderful people. If you don’t know Gail pop over to Purple Hues & Me for a visit. She’s so creative and talented, and I guarantee she’ll inspire you with her projects. Thanks so much for reading! Have a beautiful day! So beautiful, Tuula! What a sweet friend to send you that burlap. Those flowers are so neat. 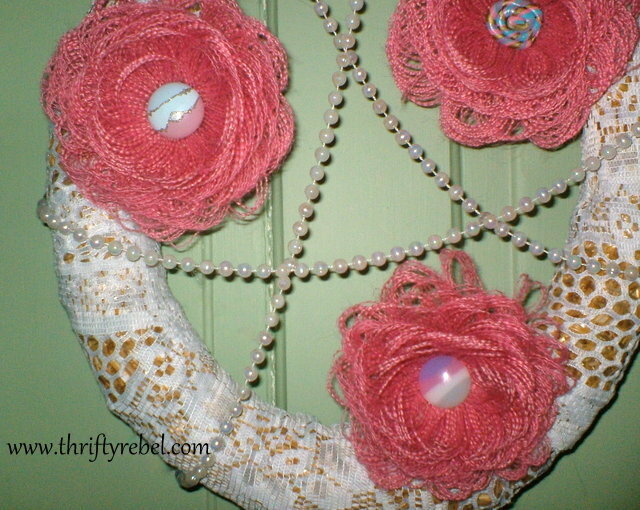 Tuula, that is the cutest wreath…love those little flowers, wish I were crafty! I loved the flowers in yellow on Gail's post and I really love them in pink. The wreath looks very spring-y! 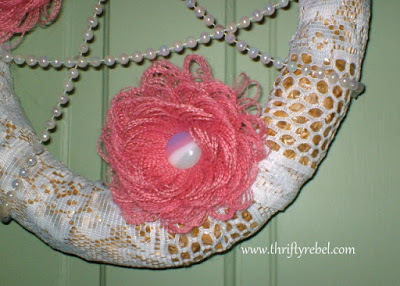 Great idea with the added element of the pearls. So very pretty! I had no idea there were more colors in burlap than brown and perhaps white! Beautiful job Tuula! Thanks so much Tuula for the shout out! 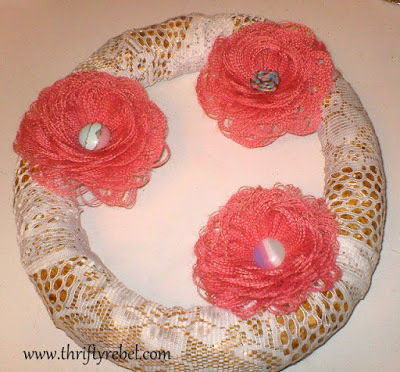 Your pink burlap flowers look amazing and the way you decorated your wreath with them is adorable. You did a fabulous job making them and they look more polished than mine. Using earrings in the center is a very creative idea! Goes to show how different hands result in different looks. I just know you had a wonderful feeling once they were made. I still can't get over how they look! Great job and fantastic! Well she's baaaacccckkkk – the Queen of Wreaths is at is again!!!!! Thank you for sharing this at Rustic Restorations Weekend. Following from Social Sunday from Call Me PMc thanks for linking with us! Wow, this turned out so beautiful. I love those pink burlap flowers. Love your wreath! So vintagey. Those flowers are awesome! Enjoy your lovely creation and thanks for sharing it with us! Blessings! Such an interesting mix of textures. Thanks for sharing.